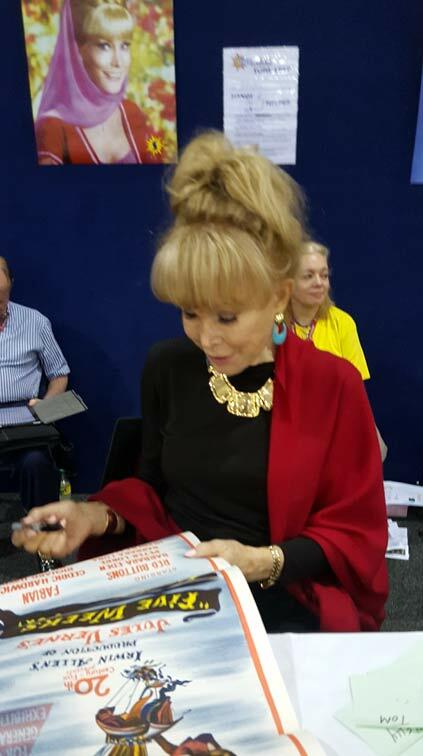 Barbara Eden was in Australia recently and she signed a small selection of daybills for me including Five Weeks in a Balloon, The Wonderful World of the Brothers Grimm and Harper Valley PTA. Barbara is now in her 80s and looking great. Although she signs lots of autographs for fans you rarely see many signed movie posters and I very much doubt that she has signed other daybills.